Known for manufacturing, supplying, trading and exporting an extensive assortment of high quality Rail Systems & Busbar System, "N. B. M. Industries", was established in the year 2006 an ISO 9001:2008 and NSIC certified company. 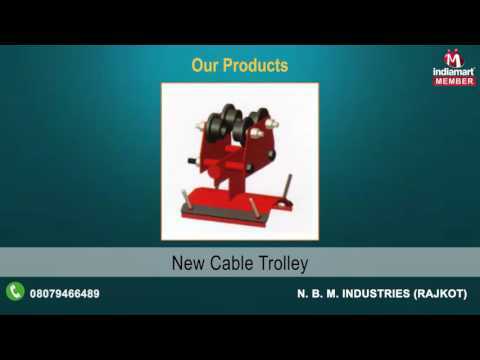 The product range offered by us is inclusive of Rail Systems, Cable Trolley and Current Collector.These products offered by us are manufactured from finest quality raw materials, which are procured and sourced from certified & authorized vendors of the industry. By using sophisticated machines, tools and equipment, our engineers precisely design these products in conformity with the industry set norms and regulations. Available with us at reasonable prices, these products are known for their durability, dimensional accuracy and robust design. The product range offered by us is available in user-defined specifications. These products can be availed by our customers in bulk quantities owing to our large production capacity.